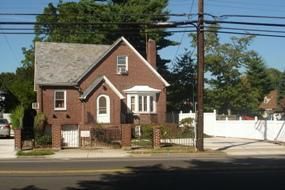 3 MINUTES WALK TO HOFSTRA LAW/ BRESLIN HALL .BEST LANDLORD IN TOWN SINCE 2004. THIS HOUSE IS THE PERFECT LOCATION, VERY SAFE!!! BATH WITH SHOWER, KITCHENETTE AND STUDY ROOM . ROOMS WITH AC UNIT INCLUDED.VERY QUIET AND WELL MAINTAINED PRIVATE BRICK HOME. ALL UTILITIES INCLUDED. OWNER RESPONDS TO ISSUES IMMEDIATELY AND ISSUES ARE FIXED. LANDLORD TAKE CARE OF SNOW REMOVAL AND EXTERIOR MAINTENANCE. PROUDLY SERVICING THE HOFSTRA COMMUNITY SINCE 2004.